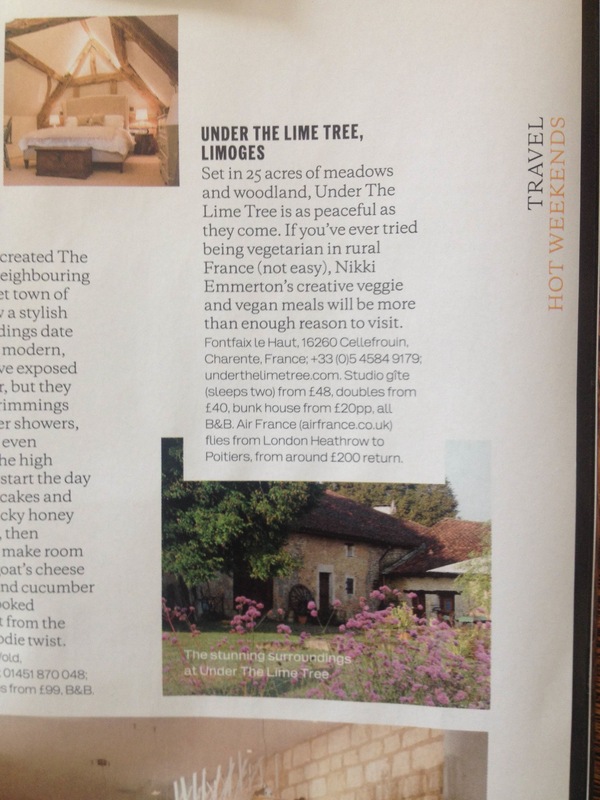 Under The Lime Tree makes it to main stream media! But only just…! 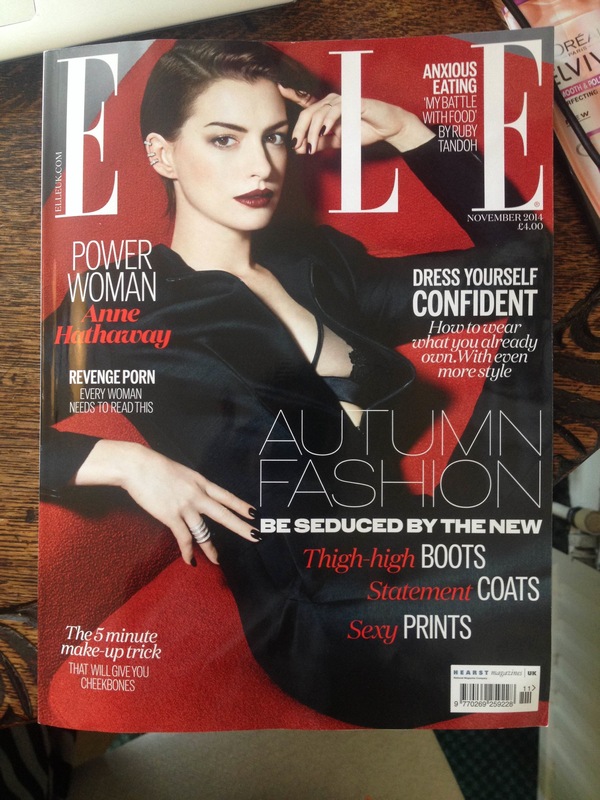 According to Wikipedia, Elle is the world’s best selling fashion magazine focussing on fashion, beauty, health and entertainment and reaches over 21 million readers. Oh my! The vast majority (82 percent) of Elle’s audience are women between the ages of 18 and 49, with a median age of 34.7 years. “Our readers are young enough to think about life as an adventure and old enough to have the means to live it”, says Robbie Myers, current editor in chief. Well, I can honestly say that I haven’t thumbed through very many editions of Elle in my more-than-median-age range, but that hasn’t stopped me still thinking about life as an adventure! Elle was founded in France in 1945. In the 1960s, it was considered to “not so much reflect fashion as decree it”. Among its past editors is Jean-Dominique Bauby, who became known for writing the book “The Diving Bell and the Butterfly” after suffering almost total paralysis during a stroke in 1995. (The book is a fabulous read by the way, and the film does it great justice). So how did the feature article come about? The Cool Place to be is Hot! We can all have the best product in the world, or offer the best service, but how we sell our product and market it to the world is an entirely different ball-game, and it’s not always based on meritocracy. We can spend an inordinate amount of time and money climbing the marketing mountain ~ advertising here, promoting there, re-inventing ourselves always ~ hoping that our efforts will reap rewards. None of this happened in this particular case. In fact, it’s a good old fashioned lucky break, and a classic example of never knowing who’s going to walk through your door and what they’re going to say about you! I first got an email in early August, which without any prior intro, was from the Picture desk at ElleUK asking for “hi res images to be sent asap for a feature article in the november issue”. Yeah right! I put the email in my Trash, thinking it was a spoof (I get lots of them) and didn’t give it a second thought. Later the same day, there’s a message on my ansaphone, “Hi it’s ElleUK, we’re doing a feature article on Under The Lime Tree, please send hi res images asap…” Ok, now it got my attention! I grabbed the email from the Trash mailbox and was in touch immediately. After inquiring as to what was the focus of the feature, I got the reply, by email, two words only, “Hot Weekends”. Well hello? Excuse me? Hot Weekends? I know I have a hot tub, but really? Hot weekends here, at UTLT, really? It’s said that any publicity is better then no publicity, but I was getting pretty hot under the collar thinking of the potential misunderstanding ~ especially as a residential massage therapist! Not good! Anyway, long story cut short, turns out it’s for Elle’s travel section ~ hot places to be. Ha! Ha! But Under The Lime Tree is the Cool Place to Be! No matter! I sent images, (never used, incidentally). By the end of September I still had no idea of who was writing the copy, despite relatively persistent requests to find out. I had to let it go. Do you say to Elle, over 21 million readers world wide, no you can’t use my images if I don’t know what you’re saying about me, or do you trust and hope for the best? I hoped for the best ~ and got a luck break! 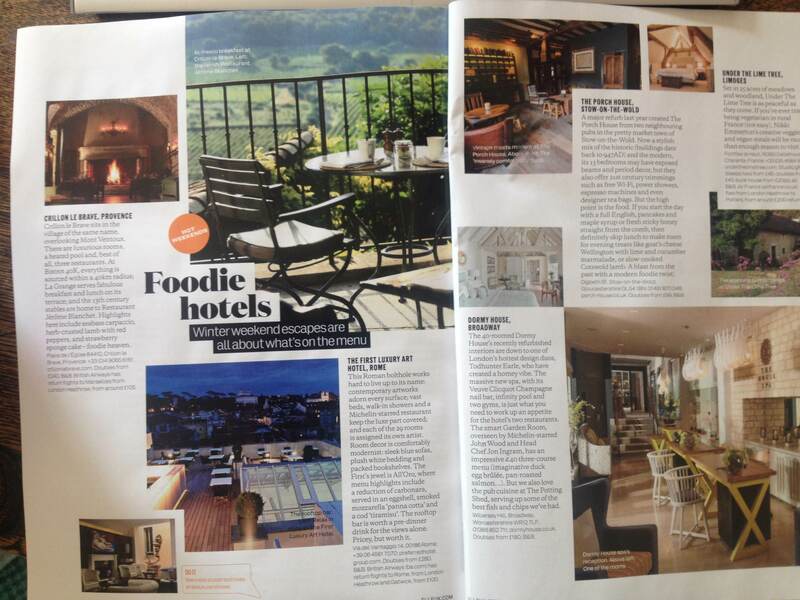 Out of the blue, a regular B&B guest emailed to say “Hi Nikki hope you’re well, I’ve written about you in this month’s Elle”. And that was it! PDF’s included. The prices are wrong, the flights quoted are to the wrong airport, but hey! A vegetarian and vegan B&B gets mainstreamed alongside other hotels and B&Bs because of it’s emphasis on providing consistently good food and good service.